In 1856, journalist, writer, and art historian, William Cowper Prime, wrote this enthralling travel memoir of a voyage up the Nile. 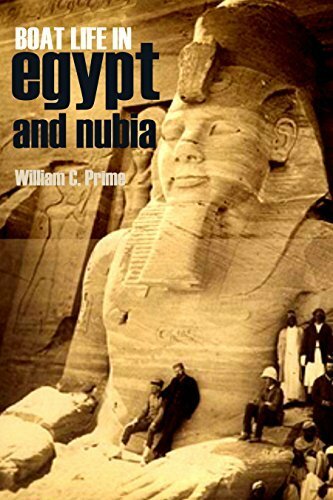 It was the fulfillment of a lifelong dream done at a time when Nile travel was not as convenient or safe as it would be even 25 years later.Â Visiting all the major temples and sites of ancient Egypt, writer Prime is humorous, engaging, and at times thrilling. He provides a picture of a land that is no more, as temples have disappeared and development has encroached on the antiquities.